The park consists of 203 stylish Boshuysen, Dorpshuysen and apartments. The accommodations are suitable for 4, 6 or 8 persons. The authentic houses are fully equipped. The Boshuysen are in the forest, the dunes, on an open field or at the water. The Dorpshuysen are located near the central Poorthuys which contains a reception, a small souvenir shop, an Eethuys which has the possibility of a morning take away of a nice breakfast and evenings take away delicious fresh pizza. In Efteling Bosrijk you can book packages. The package includes unlimited access to the Efteling. For the children there are playgrounds and a beautiful swimming pool. 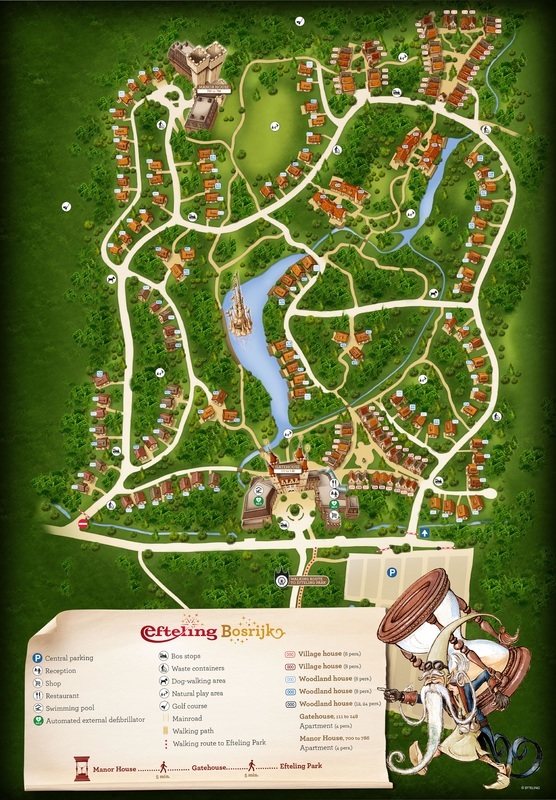 On 11 December 2009, the Efteling opened their new holiday park Efteling Village Bosrijk. This unique and spacious holiday park is situated directly next to the Efteling and is the perfect place to sit back and relax for 3 or 4 days whilst recovering from your Efteling adventures! It is a wonderful place to spend time with your loved ones and will give you plenty of opportunity to totally unwind in its enchanted woods and beautiful surroundings. Efteling Village Bosrijk is no ordinary holiday park. It has the very same magic found in the Efteling theme park. 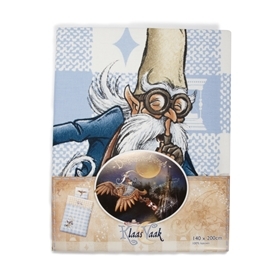 Just you wait until nightfall when Mr Sandman’s about! You can buy Bosrijk themed items at the Souvenir shop!